MPs Jean-Michel Fauvergue and Alice Thourot (La République en Marche, LREM) prepared the report, which has proposed 78 measures to improve coordination between the armed forces, private security agents, and the municipal police. Currently, just 44% of the country’s 21,000 municipal police officers are armed with a gun. Mr Fauvergue (former head of French police unit Recherche, Assistance, Intervention, Dissuasion, RAID; and MP for Seine-et-Marne) and Ms Thourot (MP of the Drôme) want to arm municipal police with semi-automatic rifles as a matter of course, and make it the rule rather than the exception. 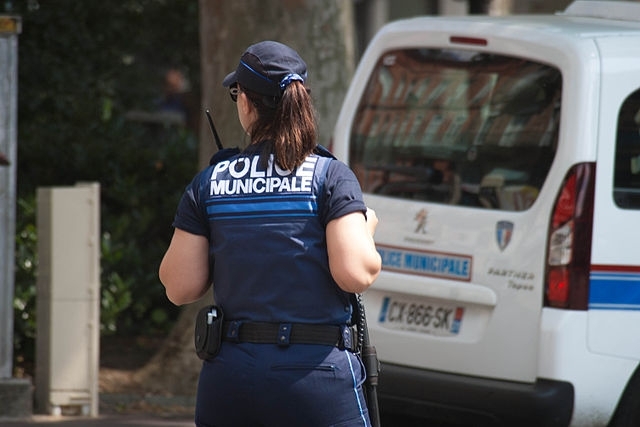 This would bring municipal police in line with national police and the gendarmerie, who nearly always carry semi-automatic weapons; and would provide better protection in this era of heightened terrorist threat, the report said. Should the recommendation be adopted nationally, any mayors who objected to the request would need to defend their decision not to do so. The report also considered the country’s private security guards, of which there are 167,800 nationally. It discussed the possibility of arming them with a Taser stunning gun, and even creating a national uniform for them to wear. The duo also suggested the creation of a nationwide training scheme for private security officers, to ensure more standardised skills. Similarly, it recommended the creation of new links between private guards, police, and gendarmerie, to improve communication and standardise behaviour and response styles.